Bishop Basil of Kineshma was born Benjamin Sergeyevich Preobrazhensky, in 1875 (according to other sources, 1873 or 1876) in the family of Protopriest Sergius and Matushka Paula of Kineshma. In those years many of the clergy did not distance themselves from the worldly environment, and borrowed worldly tendencies and a worldly cast of mind from it. But Fr. Sergius Preobrazhensky and his wife Paula were not like those. There was nothing worldly in their home, and no objects of secular culture. After all, how could anything secular compare with the Sacred Scriptures! Fr. Sergius did not accept in his home guests whose aim was vain talk. The whole sense and aim of earthly life for the couple was the cleansing of the mind and heart by prayer and the sacraments. And a purified heart was better able to detect the insidious traps of this world and the craftiness and evil thoughts coming from the devil. And for that reason the parents tried in every way possible to protect their children from the influence of the world, knowing how difficult it is to uproot the thorns of sin and passion once they have already grown through. And there were other prefigurings of his exceptional future. His parents did not even consider the study of letters to be important, and did not make haste about it. And this absence of worldly vanity taught the boy mental concentration, so that when the time came to study, he finished Kostroma theological seminary with a distinction (one of this fellow-pupils was the future hieromartyr, Archbishop Theodore (Pozdeyevsky)) and entered the law faculty of St. Petersburg university. But however lofty the rules of piety in which a person has been brought up, and however accustomed he may be from childhood to the life of the Church, his human will remains free and the hour of free choice will without fail come in his life. After graduating from university Benjamin decided to prepare himself for the profession of a secular writer. Knowing to perfection both the ancient and the modern European languages, he went to England (according to one source, in 1910) and entered one of the English universities in order to continue his education and become more closely acquainted with European culture. Every summer he returned home. The waters of the Volga flow quietly, and at its higher points, where the villages stand, its banks are adorned and as it were spiritually strengthened by snow-white churches, amongst which the bell-tower of the Kineshma cathedral rose up invitingly. Once Benjamin arranged with some friends to go on a restful trip in a boat. But for some unknown reason the boat capsized, and all those who had been sitting in it began to drown. And then Benjamin turned in prayer to the Lord, beseeching him to preserve his life and vowing to abandon secular education and enter a theological academy, so as to learn how to defend Orthodoxy. He had hardly had time to utter this prayer in his mind when he saw a long, thick plank. Taking hold of it, he swam to safety. All the others who had been sailing with him drowned. The young man did not put off the fulfilment of the promise he had made to God and that very year he entered the Moscow Theological Academy, from which he graduated in 1901 with the degree of candidate of theology. On June 28, 1901 he was appointed a teacher of polemical theology, history and polemics against the Old Believer schism and local sects in the Voronezh theological seminary. Having been interested since youth in the ascetic side of the Christian struggle, he wrote a dissertation “On the Skete Paterikon”, for which he was awarded the degree of master of theology. When he was studying in the academy, Benjamin began to preach in the town churches. His sermons soon became so well-known and popular that he was also invited to the villages on the patronal feasts of the village churches. It was at this time that he understood that his listeners were not sufficiently enlightened, and he became a missionary-preacher in his native land of Kineshma. He carefully examined the parishioners of the churches in which he had to preach during church services, and chose from amongst them a strongly believing woman who had a good knowledge of the Word of God, round whom he began to collect a church circle. In this circle the Gospel was read and then interpreted. Benjamin himself did some of the interpreting. Besides this, the appointed church services were read, and church chants and spiritual verses beloved by the people were sung. It was difficult to organize these circles, but once created they gave fruit a hundredfold, educating many souls in such faithfulness and love for Christ that none of the misfortunes that came after could shake them. During the renovationist heresy these circles became unshakeable fortresses of Orthodoxy. As a missionary-preacher, Benjamin went round the parishes of the Kineshma uyezd on foot, founding circles of zealots of piety wherever he could, drawing them in by the reading and interpretation of the Word of God. But what especially attracted them was perhaps the example and Christian exploits of the preacher himself. In 1911 he was appointed teacher of foreign languages and general history in the Mirgorod men’s gymnasium, and in 1914 – teacher of Latin language in the Moscow gymnasium. In 1917 he graduated from a pedagogical institute. At a moment of mortal danger, Benjamin Sergeyevich gave a vow to devote himself to the service of the Orthodox Church, and in October, 1917 he became a reader in the Ascension church in Kineshma. He founded Orthodox circles for the study of the Holy Scriptures attached to the churches of the Kineshma diocese. In 1918, when in the country as a whole and in the confines of the Kostroma eparchy militant and all-destroying atheism was raging and priests and monks were being tortured in their thousands, Benjamin became psalm-reader in the church of the Ascension, where his elderly father still served. The authorities issued a decree forbidding the preaching of the Law of God in schools; so the light of Christ was forcibly removed from the hearts of the children. And Benjamin began to gather the children in the Ascension church and preach the Law of God to them there. Being strict with himself and a strict fulfiller of the canons and regulations of the Church, Benjamin’s father did not consider him ready for ordination to the priesthood and monasticism before he was forty. And only on July 16, 1920 was Benjamin ordained to the priesthood as a celibate; he was then 45. The ordination took place in the town of Kostroma and was performed by Archbishop Seraphim (Mehscheryakov) of Kostroma. Soon after this his father died. After the death of his father Benjamin received the tonsure with the name of Basil, in honour of St. 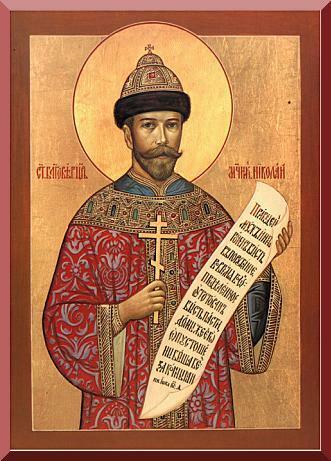 Basil the Great, and on September 19, 1921 (according to another source, September 14), he was consecrated as bishop of Kineshma, a vicariate of the diocese of Kostroma. Archbishop Seraphim of Kostroma and Bishops Hierotheus (Pomerantsev) and Sebastian (Vesti) carried out the consecration. After his consecration to the episcopate, he redoubled his ascetic efforts. Having renounced all personal property, he settle on the edge of the town in a small bath-house which was in the kitchen-garden of a soldier’s widow. The hierarch had no possessions or furniture, and he slept on the bare floor, putting a log under his head and covering himself up with some clothes. He hid his exploit from outsiders, receiving noone in this place. Those who came met him in the chancellery, which was attached to the Ascension church. The bath-house was a long way from the church, one had to go through the whole town, but the hierarch did not want to find a nearer place for himself, although at that time he served daily. Every morning while it was not yet light he would walk across the whole town to the church, returning home late at night. Not once was he apprehended by robbers on the street, but he meekly and lovingly gave them everything he had, and soon they began to recognize him from a distance and did not come up to him anymore. Besides the daily church services, in which he always preached without fail, the hierarch confessed his numerous spiritual children, going round the homes of all who needed his help and word of consolation, visiting monasteries and the circles he had founded scattered throughout the uyezd. On major feast-days the hierarch served in the cathedral, and from Thursday to Friday there were all-night vigils in the church of the Ascension. The people loved these all-night vigils which were dedicated to the memorial of the Lord’s Passion, and were present at them in great numbers. They were especially beloved of the workers, many of whom lived not in the very centre of the town, but in the environs, two hours’ walk from the church. They stood through the all-night vigil and it was only late at night that they got home – in the morning they were again at work. But such was the grace of these services that people did not feel tired. During the Divine service the hierarch himself read the akathist to the Passion and there was such quietness in the church at that time, as if there were not a single person there, and every word was heard in the furthest corner. The grace-filled words of Bishop Basil’s sermon pierced the hearts and drew more and more people into the churches. After his sermons many completely changed their lives. Some, following the example of the hierarch, gave their property to the poor, dedicating their lives to the service of the Lord and their neighbours. The light of faith and grace began to reach even the unbelievers, and Jews began to come to the church so as to hear the hierarch’s words about Christ the Saviour. Whatever people might think of the Christian faith and the Orthodox Church, almost everyone felt that the hierarch’s words responded to the inner demands of the soul, clearly returning life to the soul and a feeling of meaning to life. And the authorities began to be more and more disturbed. But they found no excuse for arresting the hierarch, while his popularity amidst the people was so great that the authorities could not bring themselves to arrest him. And then they began to infiltrate people into the church whose task was to tempt the hierarch with questions during the sermon so as to confuse him. Vladyka Basil knew that there were such people in the church, and he replied to many of their questions beforehand. Convicted in their conscience, and understanding the pointlessness of their situation, the atheists left the church without asking any questions. Like a true pastor, the hierarch Basil protected his flock from every kind of evil and error. If he learned that one of his spiritual children was thinking incorrectly, then without wasting any time he hastened to visit this person. Not far from the town of Vichuga there lived a sick eldress by the name of Martha Lavrentyevna Smirnova. She was a great ascetic. From childhood she had led a God-pleasing life, and the last 22 years she had passed in immobility, ceaselessly giving thanks to God. For this the Lord gave her the gift of discernment, which many of those who came to her for advice profited from. In exile Basil of Kineshma learned that the eldress had begun to receive people who were in heresy and were going round everywhere glorifying her as a saint. On returning from exile, Vladyka did not change his rule and set off on foot for Vichuga, visiting the homes of his spiritual children on the way. He arrived at the cell of the eldress only by evening. It was full of people and the hierarch asked everyone to leave so that he could remain alone with Martha Lavrentyevna and her cell-attendant. Without hesitation the eldress agreed to stop seeing the heretics. In the home of one of the hierarch’s spiritual children, Eudocia, the oil-lamp in front of the icon began to light of itself at midnight. “It seems that the Lord is calling me to get up and pray,” she thought, not sure whether to accept this phenomenon as from God or a deception. But she had already felt the spirit of deception in her heart – you pray so much, she said to herself, that the Lord Himself lights the oil-lamp. In order to test this phenomenon, she invited an acquaintance of hers to stay the following night. But the oil-lamp lit up in her presence, too. Then she invited another witness to stay the night with her. The same thing happened with her. At midnight the oil-lamp lit up of itself. This finally persuaded Eudocia to accept this phenomenon as from God. And truly, from that day the oil-lamp did not light up. In the summer of 1922 the heretical church movement of renovationism arose. Throughout the country the renovationists captured churches and drove out Orthodox priests and bishops whom the authorities gave over to imprisonment and death. In those parishes whose church had been seized by the renovationists the hierarch blessed the priests not to leave their flocks, but to celebrate the Liturgy in the squares of the villages. He himself gave an example of this, and after every service he delivered a sermon which hundreds and thousands of people came to listen to. The hierarch Basil served the Liturgy with the greatest reverence; often during the proskomedia his fellow-servers saw tears flowing abundantly down his cheeks. He told one of those close to him that during the Liturgy of the Presanctified, when the choir sings: “Now the heavenly powers are with us…”, he had seen with his own eyes the heavenly powers standing in front of the altar in the form of white doves. Alexander Pavlovich Chumakov was born at the end of the 19th century in the village of Polka in Kostroma province in a peasant family. He had a deeply religious mother who from childhood tried to instil a love for God and the Church into the boy. When Alexander came of age, she insisted that he went to the elders in Optina desert and received their blessing for his future life. And while he was going to Optina, past the villages he knew, all the girls poured out onto the road so as to laugh at him – look at the monk, they said. And he himself went with a heavy heart and was embarrassed by these gibes. But when Alexander came to Optina and was present at the services and heard the Optina chanting, then his heaviness disappeared in a flash. And he felt as if he were standing in the heavens. Alexander was two years in Optina; when the Russo-German war began he was drafted to the front. Soon he found himself in captivity, twice he ran away and twice they caught him and imprisoned him, cruelly beating and mocking him. In captivity, while he was carrying out forced labour, he was seen by a rich German woman who was enflamed with such a passion for him that she immediately proposed marriage to him. Alexander refused, she tried to persuade him, but her persuasion had no effect, and she began to compel him to live with her by force and threats. But the courageous warrior of Christ withstood this pressure, too. However, seeing that his life was in danger, he again fled, and this time succeeded in reaching his homeland. By this time the war had begun to change to civil conflicts, and Alexander Pavlovich became a psalm-reader in the church of the village of Polka. Alexander Pavlovich went to a hierarchical service in Reshemsky monastery specially in order to look at an unusual hierarch. He walked beside Vladyka Basil, chanted together with him and Vladyka liked him. “Then bless me, Vladyka, to be your psalm-reader,” replied Alexander Pavlovich, bowing to the hierarch. In 1922 famine broke out in the Lower Volga. Thousands died every day. In some cases the authorities took orphaned children and sent to children’s homes in other towns. Not long before Pascha they brought some of these children to Kineshma. Great Lent was coming to an end when the hierarch heard about this. After the service he gave a sermon to the people, calling on them to help the starving children. “Soon the festive days of Pascha will be with us. When you come from the feast and sit at table, remember the starving children…” said the hierarch. After this sermon many took children into their homes. The bishop himself rented a home for the children and put five girls in it together with a nurse, a pious believer by the name of Olga Vasilyevna. He often visited them, and sometimes had to stay the night there. But on those occasions he did not change his rule, but lay on the floor in the kitchen with a log under his head. The hierarch was both a refined ascetic and overflowing with simplicity and love in his relations with people. When he visited the circles, the news of his arrival spread quickly, and people hurried to come and meet him. But the situation was of the simplest. Those who arrived fitted themselves in where they could. Vladyka often sat on the floor, singing spiritual songs and accompanying himself on the cithara. And his sermons, discussions of the Gospel and singing were so full of simplicity and love that it seemed as if he were a spiritual pipe in the hands of God. He wished for and sought no other lot. Neither gold, nor silver, nor a place in the world – none of this did he wish for; nothing except to be a true servant of God. None of those present wanted these discussions to end. For many their meeting with him became the guiding star leading them for the rest of their life. Soon the Lord began to reveal to those around that He not only gave His servant grace in his sermons, but also heard and carried out his prayers and petitions. Thus there was a girl who fell into difficult circumstances and under the instigation of the devil became more and more despondent; and things came to such a pass that she finally decided to commit suicide. Kind people brought her to the hierarch, in whom she confided her whole story. He heard her confession in silence, and in parting blessed her and kissed her on the head. At that moment her heaviness and the tormenting thought that had oppressed her for so long fell away. Once a couple came to the bishop and began to complain that they had no children. They asked him to pray for them. He prayed. Soon after that a daughter was born to them. A widow with four small children fell seriously ill with dysentery. Her condition deteriorated rapidly and finally became critical. Realizing that she was dying, the widow called the hierarch to give her the last rites. Vladyka Basil came to the house of the sick woman. The four little defenceless children surrounded their mother’s deathbed. The hierarch’s heart was seized with profound compassion and pity, and he began to pray fervently to the God of widows and orphans to give the woman life. After praying, he confessed her and gave her communion. And from that moment she began to get rapidly better and soon recovered completely, and she died only in deep old age. Sometimes children came to petition for their hopelessly ill parents. Once a girl knocked at the hierarch’s cell. He opened the door and recognized her. She was one of those who came to the church to learn the Law of God from him. The whole way there she had been weeping bitterly, and when she saw him – he was her last hope – she began to weep still more. And no wonder, when her deeply beloved father was dying. The hierarch immediately got ready and set off with her for the dying man, whom he found already in his death throes. And the hierarch began to pray. He prayed long and fervently. Then he gave the dying man the Holy Mysteries and, leaving the rest to the will of God, departed. Immediately the illness reached crisis-point, the sick man began to improve quite rapidly and soon recovered. In the village of Belizanets, the whole family of the churchwarden Basil P., a spiritual son of the hierarch, fell ill with typhus. The illness dragged on, sometimes there was an improvement, sometimes a deterioration, but no final recovery. The hierarch, who was at that time, in Vichuga, was informed of this. It was a nasty autumn day, rain was falling, and night was approaching when the hierarch left the town. His journey through the rain, in the dark, along the muddy road was long and difficult. Only late at night did the bishop reach the house of the warden. He confessed the adults, gave Communion to everyone, and went on. A few days after his departure the family had recovered. Like many true God-pleasers, the hierarch had the gift of clairvoyance. Once he was asked to ordain a man to the priesthood. “Let’s wait a little,” replied Vladyka. The man turned out to be ill and soon went mad. Another time a woman came to him and asked him to bless her to go on a journey. During Holy Unction she began to lose the use of her tongue, and soon died. One woman asked Vladyka to bless her to eat once a day during Great Lent. It turned out that at the beginning of Great Lent both her daughters-in-law fell ill – and their recoveries were short-lived – and she had to look after not only the sick women, but also their children and their livestock. She hardly had the strength to manage. 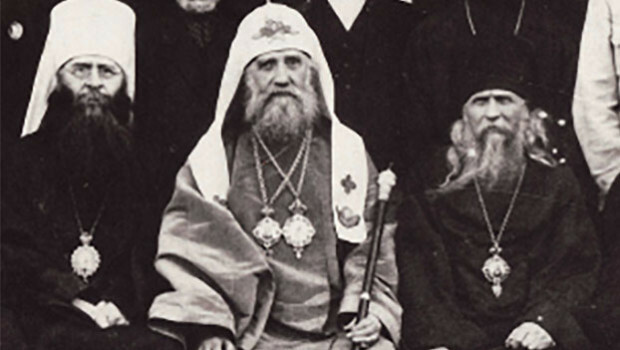 The hierarch did not serve long in his see, one year and eight months in all, and on May 10, 1923 he was arrested in Kineshma and exiled to Ust-Kol in Zyryansk region, Komi SSR, where there were four bishops and two metropolitans at that time. One of them, Metropolitan Cyril of Kazan, gave Bishop Basil his hierarchical vestments. He carefully looked after them, and before his death gave the blessing for them to be cut up and distributed to his spiritual children as sacred objects. Six hierarchs assembled with some exiled priests who had come for the service in a small hut in the taiga. That was how the Church was adorned and strengthened. Angels descended from the heavens to participate in the hierarchical service. After the service a hierarch gave a sermon. 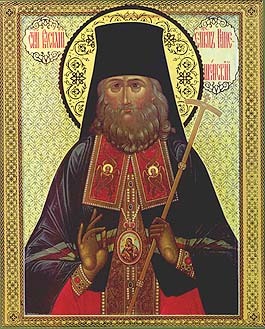 By common consent, the hierarch Basil of Kineshma was inferior only to Metropolitan Cyril of Kazan in the grace-filled strength and depth of his sermons. Soon Vladyka Basil’s cell-attendant came voluntarily to share with him the bitterness of exile. On May 19, 1925, his term of exile came to end and he returned to Kineshma. His spiritual children began to come to him, gathering together in small groups in the Ascension church. Here he confessed them after the evening service. The confessions lasted well into the night – many unresolved questions had accumulated, and everyone wanted to confess all his sins, down to the smallest. The hierarch did not want to hurry them, wishing to give place to the action of God and His grace. The hierarch did not change his routines, whether in regard to services, or to preaching, or to anything else. And the Church began to grow stronger. On January 7, 1926, the authorities, worried by the spiritual growth and strengthening of the Church, demanded that the bishop leave the town. Alexander Pavlovich suggested that they go to his homeland, the village of Polka (according to another source, Anapol, Kostroma province), and there wait till the difficult times were over. Vladyka agreed. Before leaving for the village he went to Vetluga and visited his sister there. During the two weeks of the hierarch’s stay with his sister, Alexander Pavlovich built a small house like the one he had lived in in Kineshma. There an altar was constructed on the hierarch’s arrival, and daily services were then celebrated in it according to the typicon. He lived there as an exile, devoting the whole of his time to prayer. He served together with Alexander Pavlovich, no outsider being present since there was no Orthodox church in the vicinity. Here Vladyka Basil lived in almost complete isolation for about half a year. Then he went to Sarov – to pray for the last time at the relics of St. Seraphim. From Sarov he returned by the beginning of the Apostles’ Fast to Kineshma and immediately began to serve in the Ascension church. He had served several months in all in his see when, in 1926, he was transferred to the see of Vyazniki, a vicariate of the Vladimir diocese, as temporary adminstrator. (According to one source, in 1926 he was arrested and exiled to the village of Anapol in Kostroma province.) He served half a year in Vyazniki, until 1927, when he was expelled to Kineshma. The sermons and spiritual steadfastness of the hierarch began to attract many people to the church. The authorities were frightened by the rejuvenation of church life that was taking place in front of their eyes and demanded that the hierarch leave the town. The hierarch left for Kineshma and served there for four months, after which the order came from the authorities for him to leave the town. In June, 1927, he was expelled to Kostroma, where he lived until August, 1928 before again returning to his see in Kineshma. According to one source he signed the decisions of the so-called “Nomadic Council” of the Catacomb Church, which took place between March and August, 1928. But now he served for an even shorter time there: after only a month, in September, 1928, he was arrested in connection with the affair of the True Orthodox Church. If until that time it had been difficult to find a “lawful” way of sentencing the hierarch to prison, now the publication of the declaration of Metropolitan Sergius (Stragorodsky) gave the authorities ample excuse for persecuting the Orthodox. Bishops, priests and laymen were now arrested in their thousands and sent to prison, where hunger, cold, forced labour and death awaited them. The hierarch rejected the declaration, was sent to prison in Ivanovo-Boznesenk, and in February or March, 1929 was finally condemned to three years’ exile in the village of Malorechka, Urals district. According to Nicholas Balashov, in 1931 he was again given the choice: accept the declaration or go to prison. He refused, and was subjected to tortures. By order of the authorities, the hierarch settled in a small taiga hamlet twenty-five kilometres from the district town of Taborovo, Sverdlovsk province. Here, too, Alexander Pavlovich shared all the difficulties of exile with the hierarch. The two of them set up an altar in the little house, the hierarch consecrated it, and they celebrated Divine services there every day. Prayer, Divine services and heavy work in the woods – all this was like the strictest form of skete life. Life was poor, and Alexander Pavlovich earned some extra by making wooden wash-tubs and catching fish. prayer. The gloom of the woods wrapped them round every more closely, andit was then that Alexander Pavlovich wanted to strike up a conversation withthe hierarch, to ask him something, but on looking at Vladyka, he decided notto trouble him. already coming to an end. The hierarch’s thoughts began to incline towards the idea of staying forever there, where they had acquired a desert. But it turned out that it was impossible to choose exile voluntarily. He only decided to ask the local authorities for permission to stay when they themselves had begun to demand his departure. “Give us permission to stay,” he asked. The hierarch pondered. But where, where were they to go? What place of exile should he choose? Desolate Sarov… Diveyevo… Optina desert. Alexander Pavlovich often used to tell the hierarch about his stay in Optina, and he loved listening to stories about the monastery so beloved by the Russian people. He loved to hear about the obediences Alexander Pavlovichhad to labour in. “Well that’s fine then – let’s go to Photius’ homeland. They lived for in Orel from September, 1932 to March 31, 1933, when they were summoned by the NKVD, who demanded that they leave the town. “Where shall we go?” asked the hierarch. For the last time the hierarch entered his native diocese, where he had sown so many good seeds. Although physically separated from his flock, hehad never been separated from it spiritually, and by prior agreement they even prayed at the same time. It was the last time that Vladyka Basil beheld his native town, because immediately after his arrival he and his cell-attendant were thrown into prison. saying that they did not know the men in the dock and were seeing them for the first time. After the failure of the prosecution, the judged sentenced the hierarch Basil and his cell-attendant to five years in a hard labour camp for belonging to a branch of the True Orthodox Church. This was in July, 1933. He served his term not far from the town of Rybinsk, in a camp whose inmates worked on the construction of a canal. Alexander Pavlovich was exiled to the vicinity of Murmansk. The third and cruellest persecution against the Church had begun. The atheists planned that it would end by crushing and annihilating Orthodoxy. Bishops, priests and lay confessors of Holy Orthodoxy were shot. Vladyka Basil was also called to suffer torments. The hierarch refused to sign the declaration of Metropolitan Sergiusand recognize it as Orthodox. At that the enraged torturers set about beatinghim with the buckles of their soldier’s belts. But they could not shake his resolute, pure and Orthodox confession of Christ, which could not be deflected by any worldly enticement. In January, 1938, Vladyka Basil settled in Rybinsk, and then, after a short period, he moved to the village of Kotovo, near Uglich, where he had the intention of ending his days. He served in the church in Kotovo and in a secretly constructed house church. In 1943 the metropolitan of Yaroslavl offered him a see. Holy Church was still at liberty terrified the torturers, and on November5, 1943, three months after this correspondence, Vladyka Basil was again arrested, in Kotovo on November 5, 1943. From November 7, 1943 to January, 1944 he was in the inner prison of the NKVD in Yaroslavl, and then from January 26 to July, 1944 – in the inner prison of the NKVD in Moscow. From July 13, 1944 he was in the Butyrki prison, and in the same month, because of his unbending confession of Orthodoxy, he was sentenced to five years’ exile in the village of Birilyussi in Krasnoyarsk region. Soon the Lord gave him some alleviation from his sufferings: some believing women found another flat for him. The landlady was single, and an exiled nun was living with her at the time. The hierarch’s ascetic labours and years of imprisonment and exile had undermined his health, and he began to fall seriously ill. In Birilyussi he had a minor paralytic fit which made it difficult for him to walk and necessitated nursing. The war was coming to an end, and the authorities were establishing a concordat with the Church based on a compromise whereby from the Church was demanded everything while the authorities promised in exchange not to kill bishops and priests or subject them to imprisonment, and to open a certain number of churches and seminaries. Once again the authorities tried to compel Vladyka Basil to recognize Sergius’ Synod. Seeing that the bishop was seriously ill, the believing women asked the local bishop to send a priest with the Holy Gifts. This was done. But Vladyka refused to receive Communion from the sergianist priest. “My child! Once more I congratulate you on the feast. Christ is risen indeed!.. I met Pascha very well. The Lord has blessed me with all good things – all you wishes were fulfilled. Glory to the Creator for His mercies and kindnesses. have already reached the term of human life, 70 years, and from now on life has little of interest to offer me. Of one thing I am certain, that I will not last five years in Birilyussi. I am not frightened of death. I would like to die surrounded by children and relatives, so that I can talk with and bless them all. Or at least have one person who is close to me by my side, someone to whom I can entrust my will and instructions with regard to my burial. “Alas! There is not one such person. Complete isolation is a heavy burden. I am being treated, I am taking iodine, but I received the most precious medicine on Great Thursday. I thank the Maker for all these joysand consolation. I am choking with a cough, it’s difficult to breathe, I lie down most of the time. But I shouldn’t lie down too much. Still, complete immobility helps my breathing, I can inhale with my whole chest. “… Farewell, my child! Don’t be downcast that I’m too tired to go on writing. Be healthy. Entrust yourself entirely to the will of God. Bow your head and say: Thy will be done. Pray. I believe in the prayers of children, they often help me. You will find consolation in prayer. I wish you good health and a long and happy life. “Bishop Basil of Kineshma, who sincerely loves you. At the same time, in spring, 1945, he wrote to Alexander Pavlovich, inviting him to come. Alexander Pavlovich replied that he would come whenthe haymaking was over. But the hierarch knew that he would not live to the autumn. arrive the hierarch was already dead. On July 29 or 31, 1945 (old style) Basil of Kineshma asked the nun who was living with his landlady to read the canon for the departing of the soul. Having read the canon, she began to read the final prayer. The hierarch listened attentively, and when the prayer was over said “Amen” in a firm voice and quietly passed away. According to other sources, he died on July 27 or 28, or August 1 or 11 o 18, 1947.
agreement of those close to him the funeral service was performed in another place by the hierarch’s spiritual son, Hieromonk Benedict of Lukhsky monastery, who was living in hiding at that time near Kineshma. Some sermons have been preserved from Basil of Kineshma’s writings, as well as most of his “Conversations on the Gospel according to Mark”, in which one can clearly hear the voice of the great preacher converting the hearts of thousands of people to Christ. In July, 1993 the holy relics of St. Basil of Kineshma were translated to the women’s monastery of the Entrance of the Mother of God into the Temple in Ivanovo.